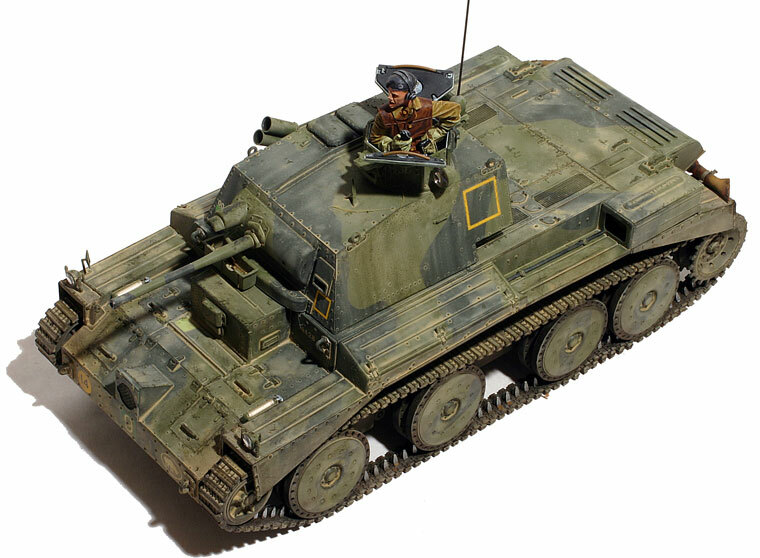 Bronco has been providing us with some nice Allied subjects, including some attractive British subjects. 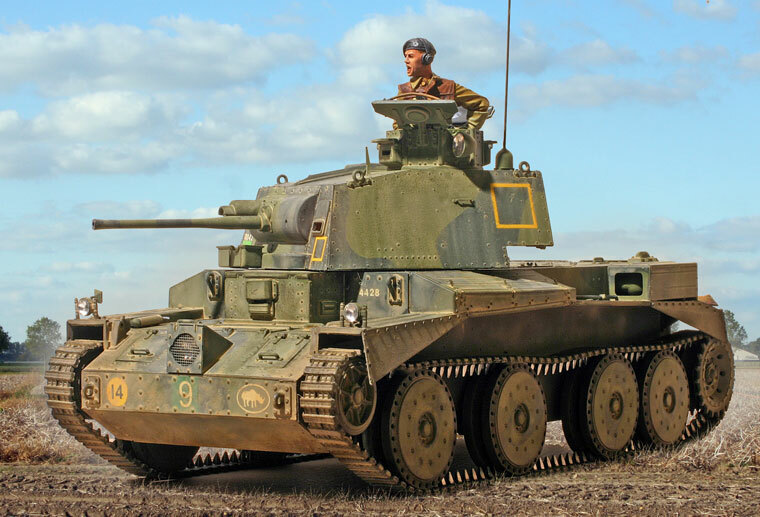 The A13 cruiser tank was hardly at the top of most modelers wish list, but I've always been a fan of BEF 1940 France subjects so I was pleased to hear about this kit. They are not cheap, with a price in the Euro 40.00 to US$60.00 range. 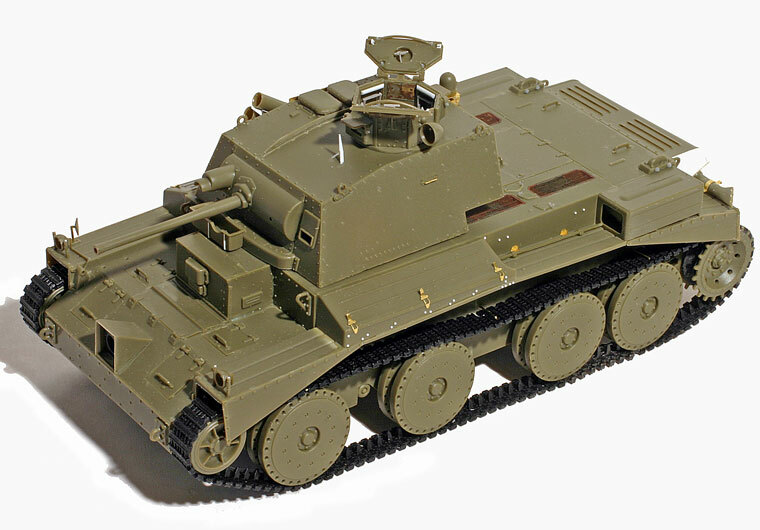 The kit is fairly typical of Bronco with extensive parts break-down and very fine detail. Assembly is complicated by a very poor set of instructions. Like the old Heller armor kits, Bronco seems fond of multiple part sub-assemblies and fragile suspensions. My kit had some minor molding problems including a warped upper hull and a mis-shapen loader's hatch. Assembly takes some TLC to get the major assemblies together while minimizing gaps. The profusion of photo-etch parts may seem pretty high tech, but I avoided most of them as they seem to be included only to provide rivet detail on some inaccessible areas. I added my own rivets instead. The rivet detail on the turret side is a bit faint compared to the rest of the kit, so I used a beading tool to accentuate the detail. The single major problem with the kit is a poor vinyl track. The track is much too short and even after I moved the idler axle back as far as it would go, the tracks would not fit without seriously compromising the integrity of the suspension, to say nothing of the need for some track sag. This feature alone makes the kit very problematic for many modelers not willing to be tormented by aggravating correction work, or waiting for an after-market solution. The track isn't too wonderful anyway, puckering badly on the rear drive sprocket. My solution to the length problem was to splice in some Italeri Crusader links under some of the rear roadwheels to provide a little extra length for the sag. Detail is generally excellent though there are some exasperating gaps. The kit comes with a detailed suspension inside the hull which will never be seen, but the details inside the commander's cupola and commander's hatch are poor. The decals are well printed though the 3 RTR set misses the mobilization color band markings. 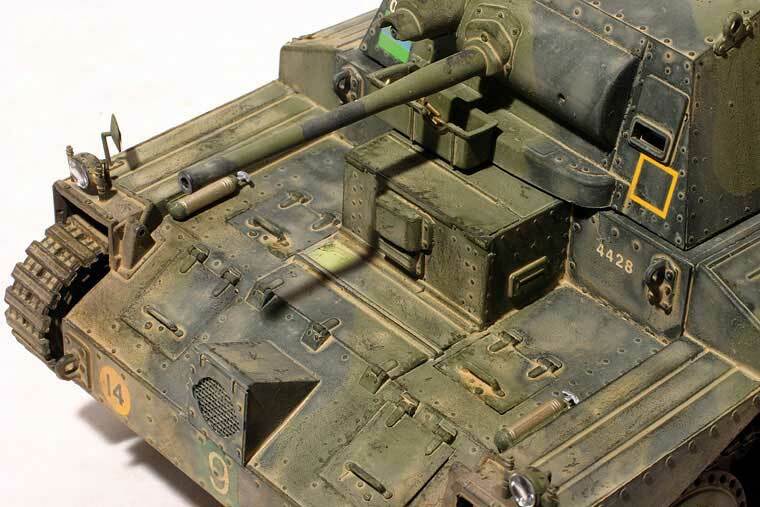 I finished mine in 3 RTR markings from the fighting around Calais in 1940. The figure is a nice Alpine figure but I had to use a Hornet head as I had already used up the two Alpine heads on previous projects! Overall, a nice model, but spoiled by poor tracks and weak instructions.